Summer Heat Part 5 – VULKAN LIVES! What’s up everyone? Was the title a little to aggressive? A few Warhammer 40K players will know, but the space marine players of the adeptus will understand. As the the states, Vulkan does live, well not really. The idea came to me as I was working on my original Otakuthon entry, an idea that I wouldn’t know what it would look like. I was very worried that the color combination in this color scheme without having too much detail, would not look too good. Well I was wrong. Everyone welcome, “Pyro Zaku”. The colors compositions turned out much better than expected. The highlighted parts are done to create artificial lighting, even when you add in more lighting, it makes the model’s edges stand out even more. If you are wondering what that spray is, it is sea island cotton from Bath and Body Works. Let’s go through the different parts that where customized. First is the shoulder. For the shoulder, I added a strip of plastic sheet, aka pla plates. 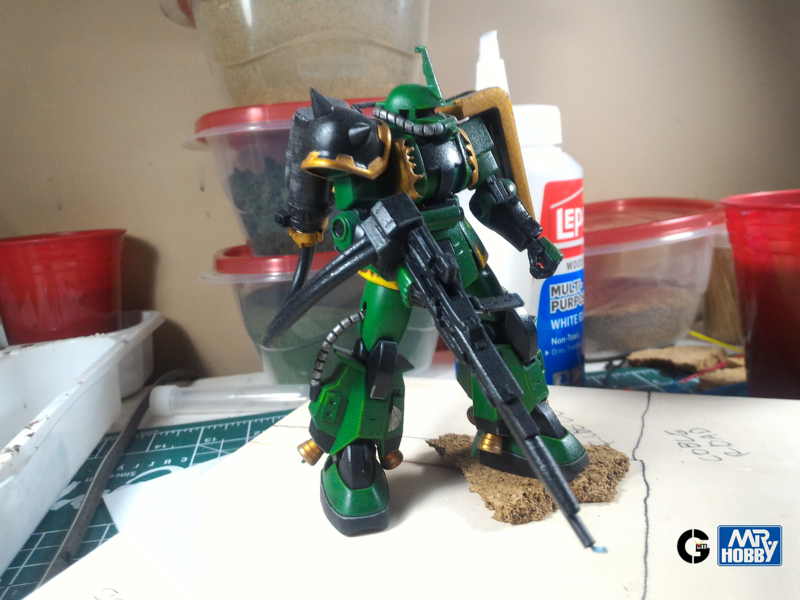 Giving it the extra mod, it added depth to the shoulder and a little extra armor. 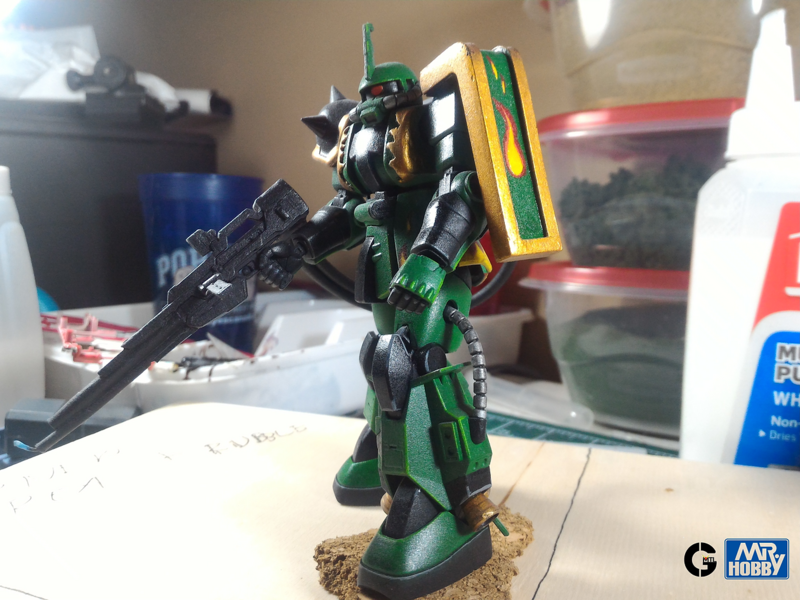 The fire emblem was hand painted to add more personality. 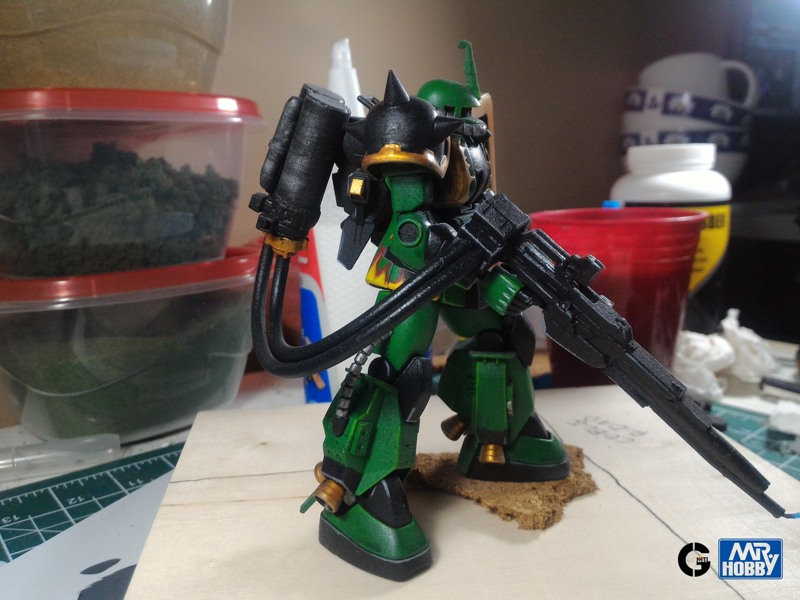 Let’s have a look at the flame thrower, fire is a way of life for Salamanders Space Marines, they relied and mastered the melta guns and flame throwers. 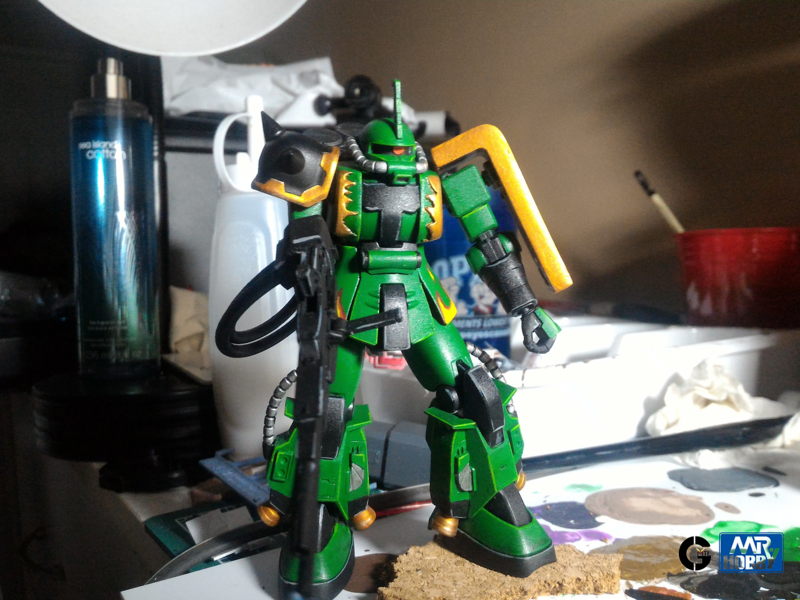 Using the RX-78RG’s main weapon, with some cutting and gluing, I managed to make it look like a flame thrower for a mobile suit. The tubes where small plastic tubings you can get at a local hobby shop. The two cylinders in the back act as the two chemicals used for this design. That is the overall model. Hand painted, custom weapon, fire designs, and patience. I do not consider my self to be the best, but being patient will pay you out in the long run. 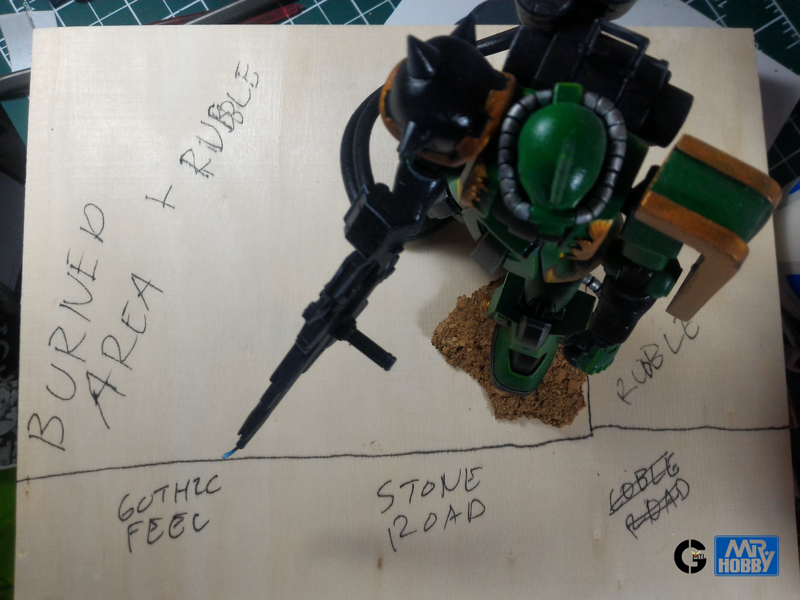 Next, well time for the diorama to be created! You can tell I did not have the energy to correct coble to cobble, so scratch it off! I’ve laid out the plans for what I need, always, ALWAYS plan out your dioramas. If you do not plan, then you will have nothing. Stay tuned for the completion of this build for Otakuthon!